At least 15 rabbits have been dropped off in recent weeks and some females have given birth to kits in their cages. 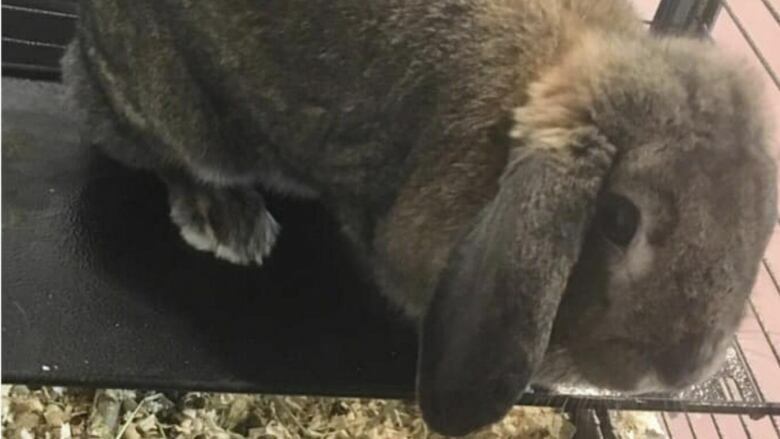 Hamilton Animal Services is being overrun with rabbits — and the situation is only expected to get worse. The city's animal management service says it's currently housing a "higher than usual" number of the big-eared, bouncy mammals. "They're having babies and it's a little bit out of hand right now," said Lisa Winn, co-founder of Hamilton-based Ladybird Animal Sanctuary, which rescues rabbits from Hamilton Animal Services. But all of the foster homes they typically arrange for rabbits in Hamilton are full. Typically, rabbit "dumping" happens after Easter when parents buy rabbits from pet stores or breeders as gifts, then abandon them once it becomes clear caring for a rabbit is a lot of work. That means Hamilton's rabbit problem will "probably get worse," said Winn. Rabbits must be spayed or neutered — expensive, specialized surgeries that can run between $150 and $350 — otherwise they'll spray urine everywhere and can't be trained to use a litter box, she explained. "Most people don't do this and they end up in a shelter," said Winn. "Or people think they can live outdoors and they'll dump them in a park which is even worse because domestic rabbits usually don't survive out in the wild." With holiday weekend around the corner, Hamilton Animal Services supervisor Calum Burnett said it's important for anyone who is considering picking up a rabbit as a pet, pause and really think it through. "We ask that citizens understand the long-term commitment when choosing a rabbit as a family pet," he said. "Rabbits are terrific companions but are still a pet that requires care and maintenance for a healthy life."